Luiz Carlos da Vila would be turning 66 today — July 21, 2015. He was one of the most fundamental figures of the younger generation of sambistas who congregated at Cacique de Ramos and formed the tremendously influential group Fundo de Quintal at the end of the 1970s, and of them, he’s my favorite. He exuded peace and tenderness in his lyrics and performances, even nearly seven years after his death, Luiz Carlos da Vila remains a constant presence in most rodas de samba in Rio de Janeiro. Old friends and fans sing his songs impassionedly, and he is still constantly cited as an inspiration by his contemporaries and the generation of samba composers that came after him. 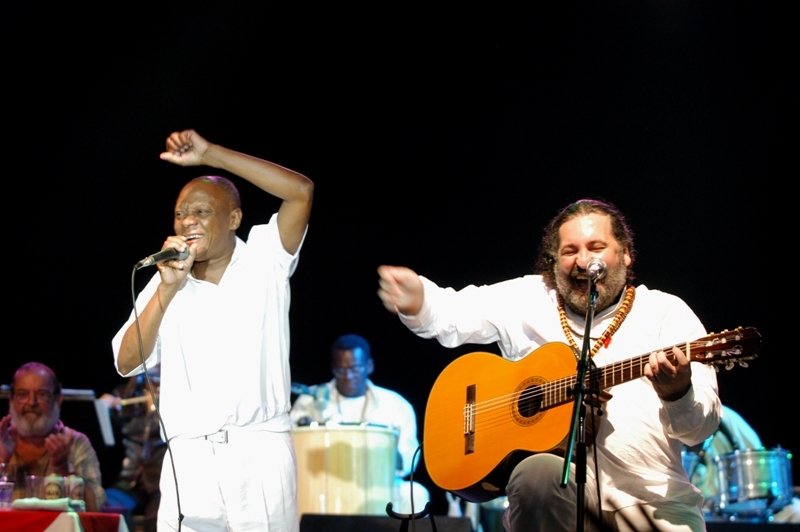 Luiz Carlos da Vila performing with Moacyr Luz. Luiz Carlos da Vila performing. Luiz Carlos da Vila was born Luiz Carlos Batista in the Ramos neighborhood (of Cacique de Ramos fame) of Rio de Janeiro. He recalled that his grandmother was quite the merrymaker in the neighborhood and took advantage of any excuse possible to have a party. His aunt played accordions at these parties, and he picked up the accordion quickly when he was around ten years old. By a few years later he’d learned guitar. His father kept a job in air transport but was a sambista in his free time, and wanted Luiz Carlos to follow a more straight-edge path, but that didn’t work out. 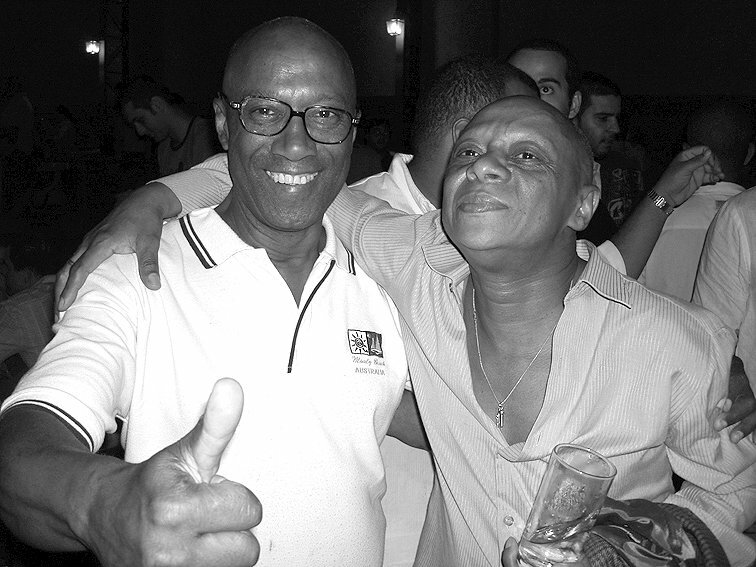 In spite of his deep affection for Império Serrano, which he never missed a chance to declare, Luiz Carlos da Vila became a composer for Unidos da Vila Isabel, and composed two winning samba-enredos for the school, including the widely celebrated samba “Kizomba, Festa da Raça,” which brought Vila Isabel its first Carnival victory in 1988. The Carnival theme that year was the 100-year anniversary of the abolition of slavery. 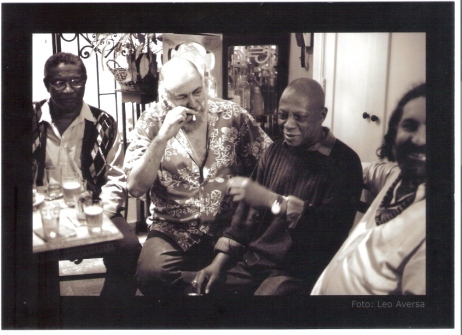 Wilson Moreira, Aldir Blanc, Luiz Carlos da Vila and Moacyr Luz celebrating the completion of “Cabô meu pai” (Luiz Carlos da Vila, Aldir Blanc & Moacyr Luz). Luiz Carlos da Vila died on October 20, 2008. He had checked into the hospital the month before for a hernia operation but suffered complications from recurring stomach cancer. He was 59.
será que vocês adoraram ou gostaram da minha censura // Could it be you all adored or liked my commentary? 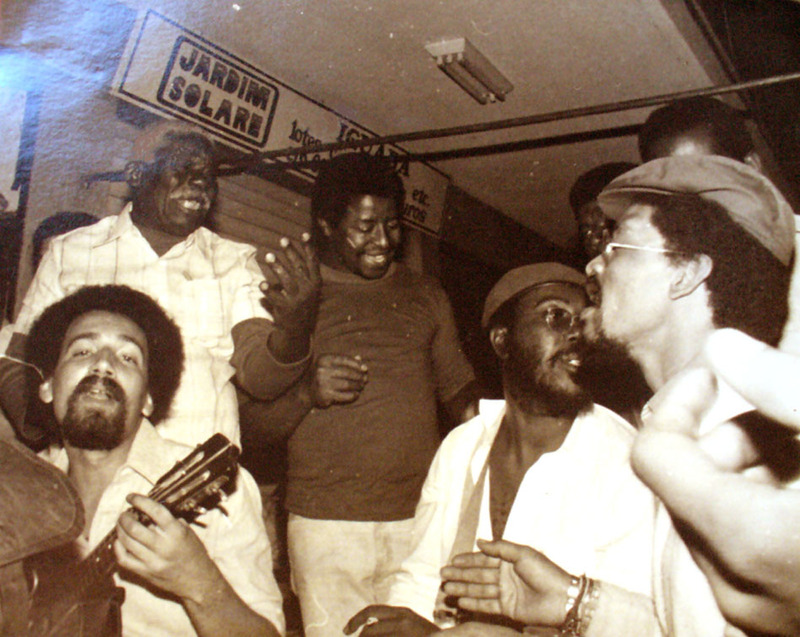 After work at the port, Aniceto (standing, left corner) used to get together with other longshoremen to sing and compose sambas. Aniceto de Menezes e Silva Júnior — who became known and revered in the samba world as Aniceto do Império — was born on March 11, 1912, in the Estácio neighborhood of Rio de Janeiro. Today he would be 103 years old. Aniceto was a leader among sambistas in Rio, still considered the best ever at improvised verses in partido-alto style samba and an ingenious innovator in the question-and-answer style like in “Inteligência” above. Aniceto was a leader at the port, too, where he worked most of his life as a stevadore and headed the dockworkers’ union. Aniceto was one of the founders of the Império Serrano samba school in March 1947. 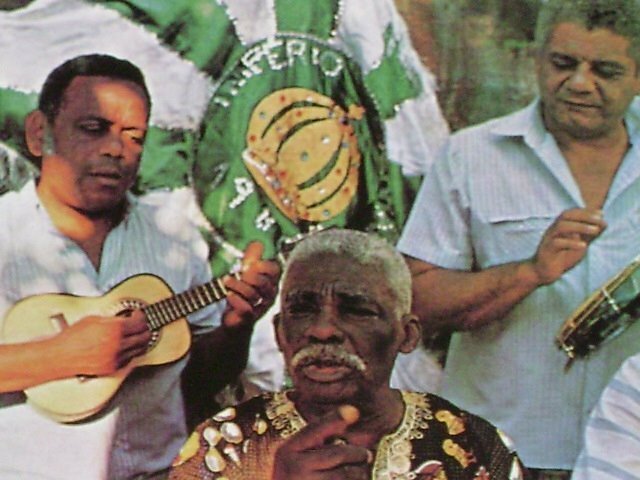 Alongside Silas de Oliveira, Mano Décio da Viola (an inspiration for Paulinho da Viola’s artistic name), and several others, Aniceto founded one of Rio de Janeiro’s most beloved samba schools, Império Serrano, just around his birthday in 1947. He was quickly named the school’s official orator. In this very brief documentary with footage from the early 1980s, Brazil’s legendary music critic Sérgio Cabral calls Aniceto Brazil’s greatest improvisor of all time; the reporter, in turn, asks Aniceto how he does it — does he think of what he’s going to say as he’s singing? How does he achieve such brilliant rhymes? Aniceto responds, “I’m a partideiro; to be a partideiro, you have to have the gift. I was lucky enough to be born with the gift. A gift isn’t something you learn at school — you have it with you from the cradle.” Aniceto passed away on July 19, 1993. 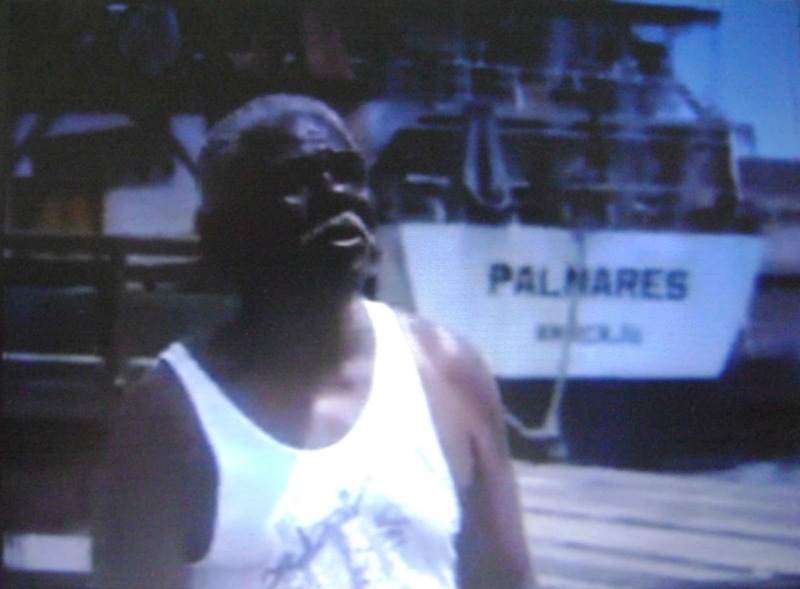 After worked all his life as a longshoreman at Rio’s port. 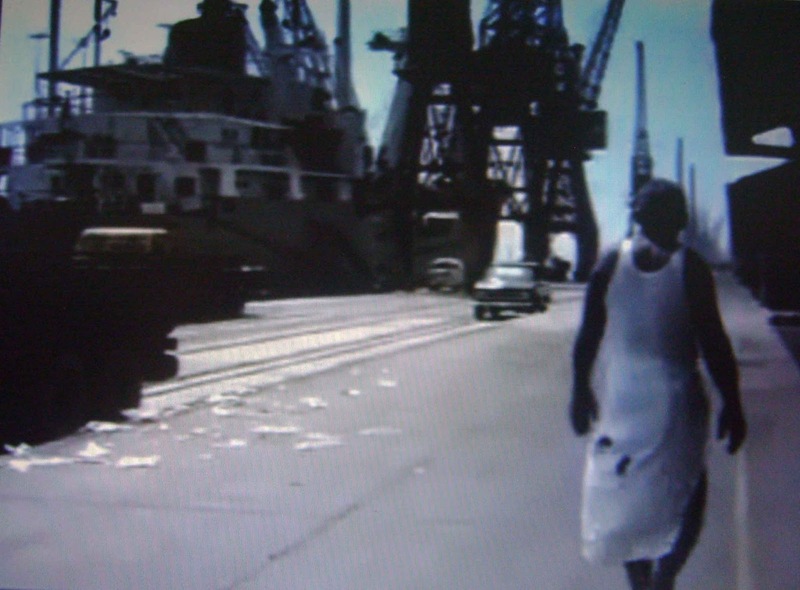 Aniceto working at Rio’s docks.